The launch of all these amazing Christmas collections has left us feeling totally spoilt, but one brand we’ve all been desperate to hear about is the King of Christmas gift sets itself, Benefit! Well, my loyal Benebabes, the wait is finally over as I have all you need to know about their amazing 2016 collection, which is set to turn heads! The collection includes a whole range of makeup for the face, lips and eyes and comes in 10 super-quirky styles, filled with a mix of best sellers and some never-before-seen exclusives. The theme is so eye-catching - it reminds me of those cute, little Russian dolls (you know, the doll-in-a-doll). It’s really unique and incredibly fun, the little characters bring a real sense of the 90’s to the collection - I can’t help but smile when I see them! Sometimes products can look great in photos but end up being such a disappointment in real life, but this certainly isn’t the case here - I think this collection actually looks BETTER in person! They are so aesthetically pleasing to my beauty-loving eyes! I’ve received two preview samples and I have to say, I’m really impressed – they definitely get a big thumbs up from me. The tins are also a great keepsake – I know I’ll be filling mine with cheat-night biscuit treats! They’re great value for money too, by purchasing a set you could save over 50% of what you’d spend if you were to buy each of the items individually! 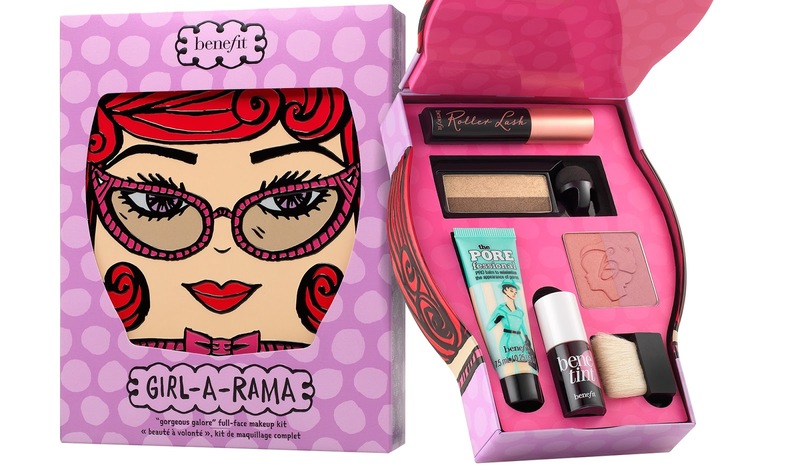 Benefit have definitely pulled it out of the festive bag again once again! Originally these weren’t due to hit shelves until the start of November, but Christmas has come early as they are available Nationwide NOW! 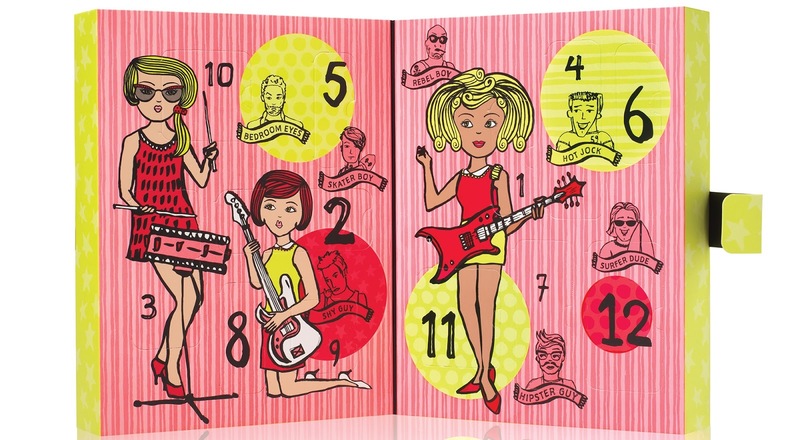 Here come the girls! You’ll have some fun with this makeup kit for long lashes, full brows and rosy cheeks, presented in an easy grab-and-go layout! The character on the packaging just screams fun, which is exactly what this set is! For the lashes we have the mini They’re real! Mascara in beyond black which is actually repeated quite a lot across this collection as a whole! For those gorgeous full brows we have the NEW gimme brow in shade 3, along with a hard-angled brush! Four mini longwear powder shadows in Quick Look Busy!, It’s Complicated, Thanks a Latte and Call my Buff. 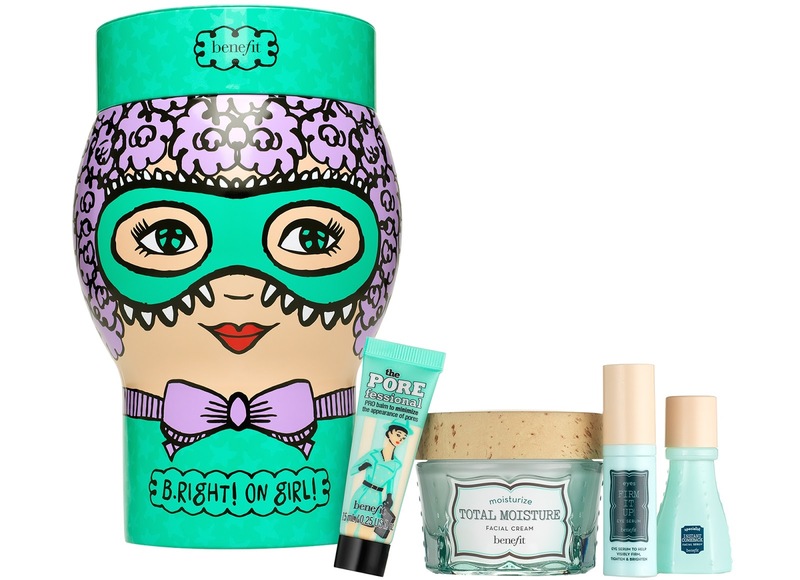 A mini POREfessional – one of the UK’s best-selling oil-free face primer which minimises the appearance of pores and fine lines! An exclusive preview of the They’re real! double the lip, in Pink Thrills and Revved-Up Red! 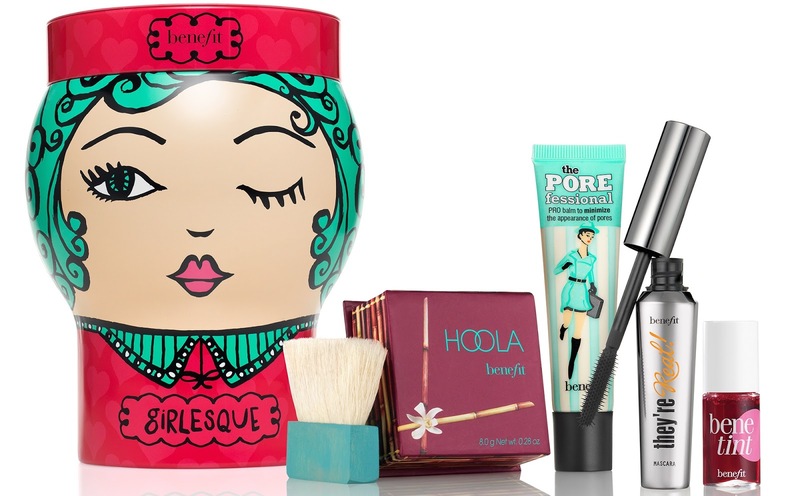 Some popular items we’re starting to see across the whole collection now including a mini POREfessional face primer and a mini Benetint lip and cheek stain. Some signature tips and tricks! This definitely has the WOW factor for those looking for long lashes, the smoothest of skin and rosy cheeks. Presented in a collectible doll-head tin, this set is different to anything we’ve seen so far and the character on the front is totally spexy, smart and sophisticated! Although the contents are pretty much a repeat of what we’ve already seen, with this set we can get our hands on some FULL-SIZED products…. A mini instant comeback facial serum – to protect against visible signs of aging! A mini Firm it up! eye serum – to help tighten and brighten the delicate skin around your eyes!